At checkout you will be presented with various USPS and UPS shipping options. All orders are shipped with either delivery confirmation or in some cases signature confirmation. Most orders recieved before 3pm Mon-Fri. will ship that same day, with the exception of holidays. Weekend orders will be processed and shipped on Monday. International orders may require an extra day for customs paperwork to be completed. UPS is usually the better choice for heavier packages. International shipping with UPS usually takes about 1 week. Note to Canadian Customers:UPS will somtimes charge a brokerage fee which can doouble the price of shipping. USPS Priority Mail is usually the better choice for shipping to Canada. Products sold by Out West Motorcycles are covered by our 30-day return period, unless otherwise noted. We want you to be happy with the parts and products you purchase from us. We do are best to describe and illustrate the products we sell. If you have questions about any of our parts please feel free to drop us a line. A Return Merchandise Authorization (RMA) number issued by Out West Motorcycles must accompany all returns. RMA numbers must be obtained no later than 30 days from the date the product was shipped. RMA numbers are valid for 10 days from the date of issuance. All products must be returned in like-new condition, including original packaging, all documentation and accessories. Charges will be applied for all missing accessories or parts. Out West Motorcycles will not accept items that have been physically damaged or misused. Manuals must be unopened. Shipping and handling fees are not refundable. All returns must be shipped freight prepaid. All related fees (shipping & return shipping fees) are NON-REFUNDABLE for all products in all cases. 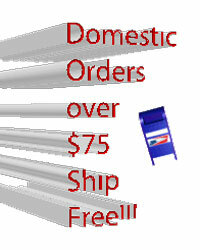 For free or discounted shipping offers, our shipping costs will be deducted from your refund. Products returned for a refund will be credited within 3-10 business days upon our receipt of the return. The refund will be in the form of a credit to the original purchasing credit card or Paypal account. Orders paid for by check or money order will be returned in the form of a cashiers check. A 5% restocking fee may apply.